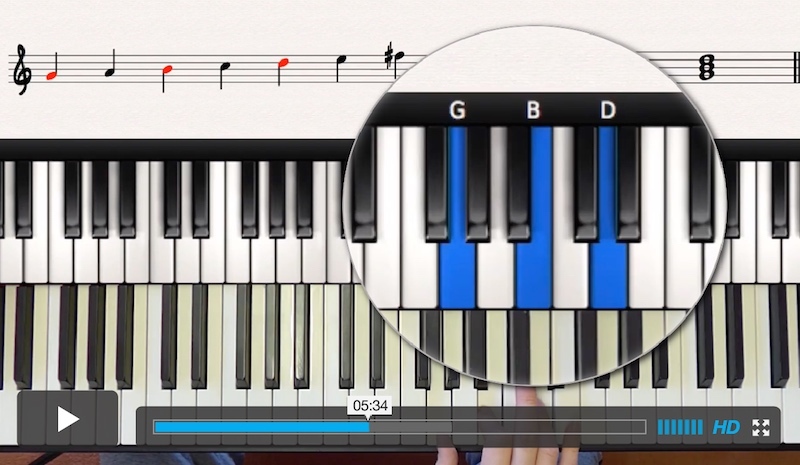 The Ultimate Online Piano Platform That's Going To Take Your Piano Playing To The Next Level! 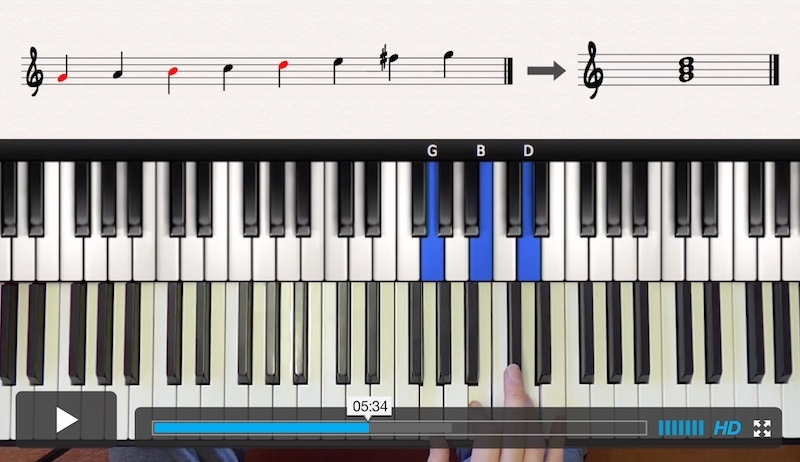 The Academy is a fast growing platform designed to help you improve your piano playing every day. It's a membership designed for piano players! And it's packed full of step-by-step, practical training and resources to help you improve every single aspect of your playing. PLUS the community support you truly need to take your playing to the next level and improve every day. Step-by-step courses, everything in-between complete beginner to complex jazz techniques. Library of easy to follow song tutorials ranging in genre, difficulty & style. Show off to your friends! Selection of short and sweet tutorials covering a huge range of topics. Get your quick fix here! 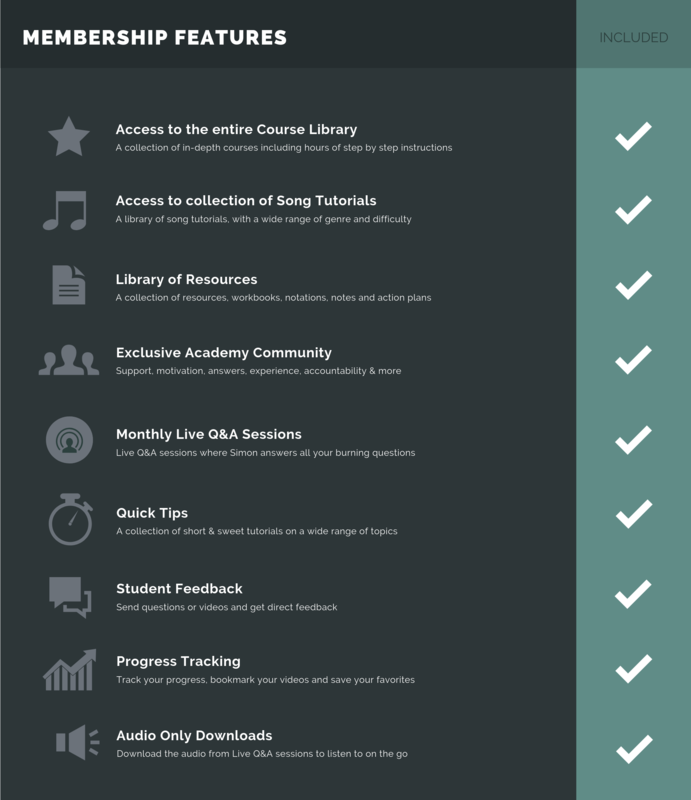 A huge collection of resources including PDF downloads, backing tracks, sheet music & much more. Interactive Live Q&A sessions every month with Simon. Get all your burning questions answered! Submit a video and get personal feedback from Simon on whatever it is you want help with. 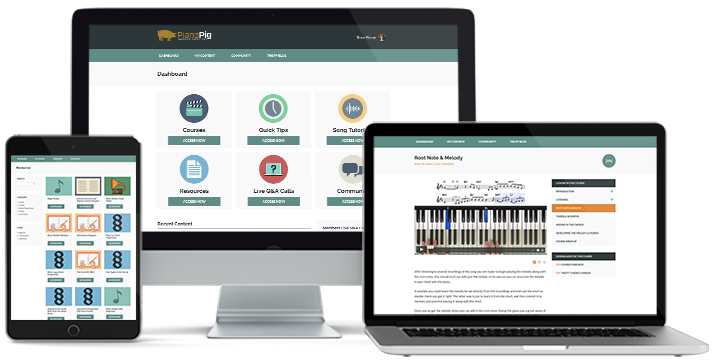 Our progress tracker and carefully structured learning syllabus will help you become a better piano player. Faster. 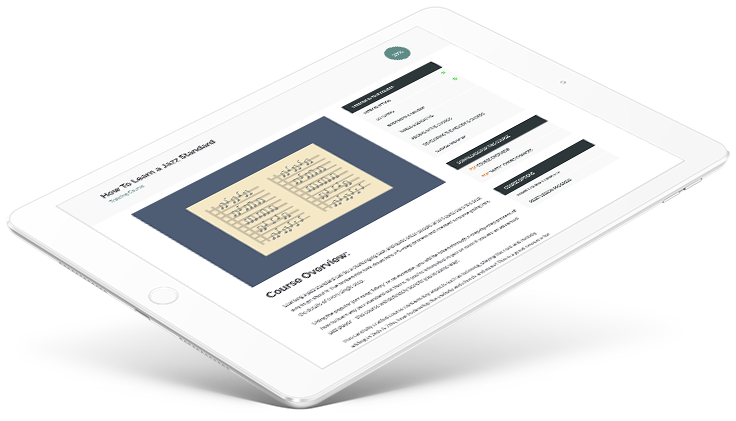 Here are some key features of the site that make learning as easy as possible! All videos are recorded in HD to deliver clear and easy to follow lessons. 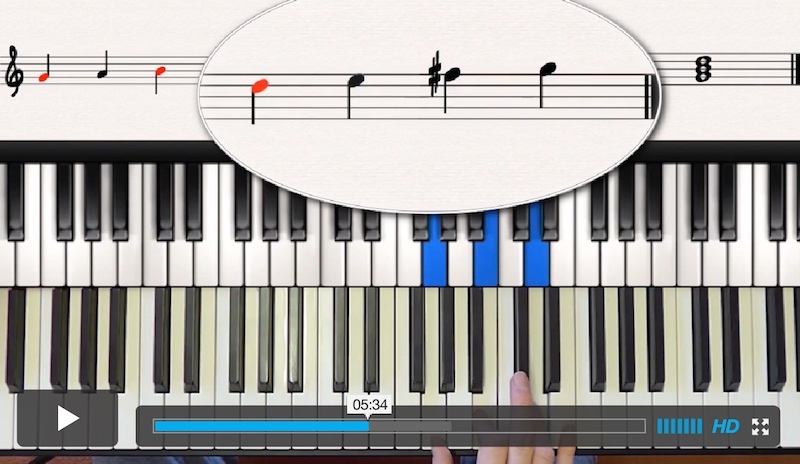 PianoPig's overhead camera view makes it easy to follow along and provides a unique insight through the eyes of a pianist. Never miss a note with our synchronized, light-up midi keyboard. Individual note names are also displayed above the keys to give you complete accuracy and clarity into dense chords and fast-fingered runs. Be there with the rest of the community full of piano players who are all dedicated to being better pianists, just like you! Get feedback on your playing from a supportive community and see how quickly that takes your playing to the next level. In the space of a few weeks, the PianoPig Academy has completely overturned my whole approach to learning the piano. I now have a resource that offers clear, concise, authoritative and intuitive instruction; I get personal guidance and motivation on how to practice what I’m learning and I am part of a mutually supportive community of piano players, of all levels of ability, nationalities and walks of life. I’ve not seen anything on the internet that comes close to the PianoPig Academy in enabling that wish to come true. Thank you, Simon, and all at the academy. Simon provides hands-on practical piano instruction to take your piano playing to the next level, whether you are just starting out or are an advanced player like myself. The lessons are clear, logical and to the point. He opened my mind to think about music differently and introduced me to many helpful new concepts. His explanations are spot on and his calm, reassuring manner makes learning with him effective and enjoyable. The interactive community allows the members to request course topics and ask any piano-related question. Thumbs up for this awesome resource! BEST VALUE: Save $120 when you join on an annual subscription! You can become a member of the PianoPig Academy completely risk free. 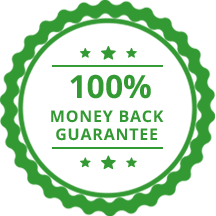 We’re so confident that you will love the Academy that we will give a full 30 day money back guarantee – no questions asked! Is the PianoPig Academy for me? Yes! Okay, I can’t say for sure. But if you’re this far down the page then it probably is. The PianoPig Academy is for anyone who wants take their playing to the next level, sharpen their skills or just start from scratch. If that’s you, then you should try it out! At PianoPig, we believe that learning the piano is a lifelong journey – therefore we will continue to grow along with you! We will constantly be adding new courses, lessons, resources & more so you can keep improving your playing for as long as you please. Can I use the Academy using my phone, tablet and computer? 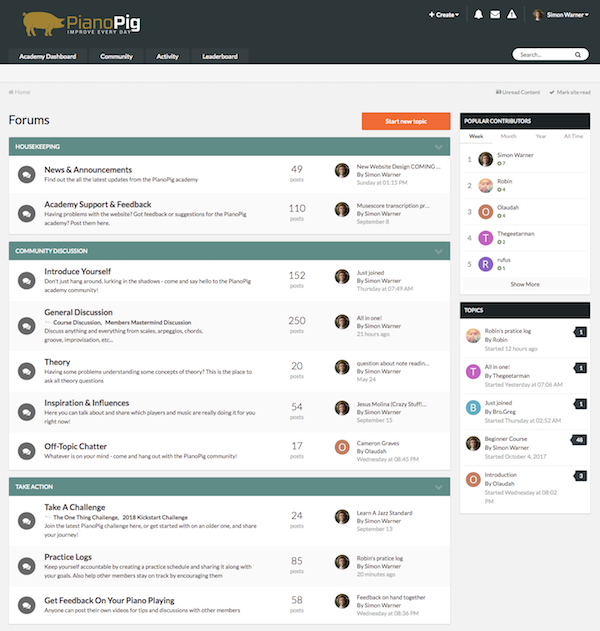 The PianoPig website is fully responsive which means any internet ready smartphone, tablet, laptop or modern computer will work just fine! Is there a syllabus to follow? Yes. Our lessons are structured in carefully designed courses where each lesson leads on from one another. Find your comfortable level and progress step-by-step at your own pace. Yes! We offer an extended 30 day money back guarantee on all memberships. That’s an entire month to try it with zero risk! If you are not completely satisfied just drop us an email and we will refund your order. Yes. Cancelling can be done easily within your 'Account’ page. You’ll have full access until the end of the current billing cycle. To restart your subscription, simply log back in with your username / password and re-active it. If there's anything at all you're not certain about, anything we haven't made clear; any concerns or questions then please do contact us at info@pianopig.com and we'll help you out.